Abuja, Nigeria. September 15, 2009 – Numerous cases of the H1N1 virus (Swine Flu) have been reported around the world, including in the United Kingdom. With constant traffic between the UK and Nigeria and the absence of border checks for the virus, concerns are high over Nigeria ’s preparedness to deal with an outbreak of the virus. NOI Polls conducted a survey to assess awareness levels on the existence of swine flu and perceptions on Nigeria ’s ability to deal with an outbreak of the virus. 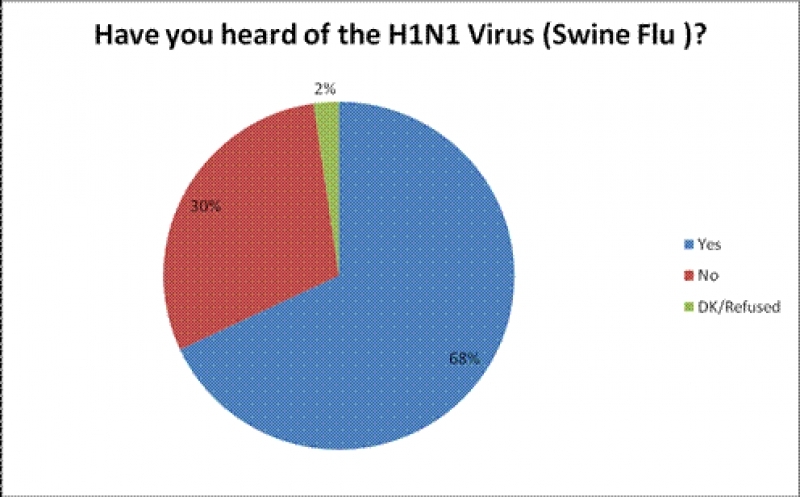 The results of the poll revealed that at least one in three (30%) people polled were unaware of the existence of the H1N1 virus. 68% of the respondents however, said they had some knowledge of the virus. 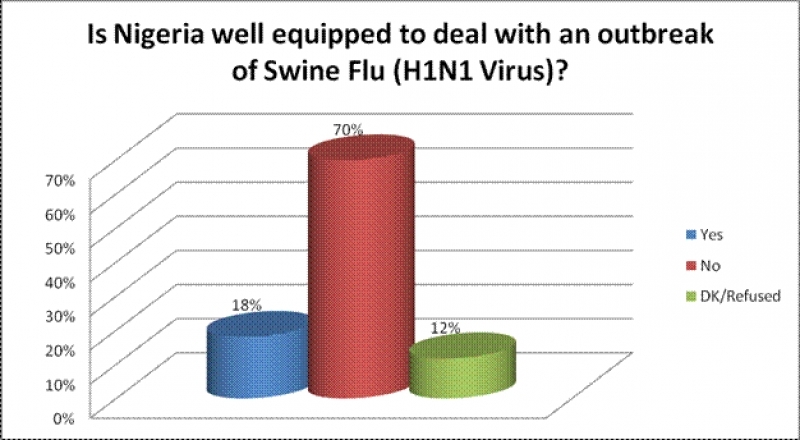 On Nigeria’s ability to deal with an outbreak, 70% of the respondents who had some knowledge of the virus, said they do not believe Nigeria is prepared to deal with an outbreak of swine flu. Only 18% of those who responded to this question believed inNigeria ’s capability to adequately respond to an outbreak of the virus. These results are based on 620 telephone interviews with randomly selected phone–owning Nigerians aged 16 years and older, across the six geo-political regions of the country. The poll was conducted between August 20 and 24th, 2009. For results based on a sample of this size, one can say with 95% confidence that the maximum margin of sampling error is plus or minus 4 percentage points. This poll is part of the ongoing snap poll exercise conducted by NOI Polls to rapidly assess public sentiments following various social, political or economic events. NOI Polls is a Nigeria-based opinion research organization which works in technical partnership with Gallup Poll (USA), to conduct periodic opinion polls on various socioeconomic issues in.